Crazy Domains celebrates Australia Day! January 26 is a special day for Australia. It is one of the most anticipated national holidays in the country – namely Australia Day. Communities across the country organise activities to celebrate the day. In commemoration of this event, Crazy Domains rolled out several promos for existing and new customers in Australia. Australia Day falls every January 26 and it marks the arrival of the First Fleet of 11 convict ships from Great Britain. Across Australia, local communities gather and celebrate contemporary Australian culture – especially commemorating the diversity of the people, culture, and landscape. This year, the theme is "Celebrate Australia Day Your Way". Every major region in the country is encouraged to commemorate the national holiday in their own unique way. Locals can find out about what the line-up of events are in their region by visiting australiaday.org.au and simply indicate your postcode. This year, Dreamscape Networks Limited's offices overseas held a week-long celebration with a line-up activities to celebrate Australia and Australian culture. enter the code AUSYD2017 for Sydney or AUMELB2017 for Melbourne at checkout. We are also making it crazy easy to get your own website, with a 26% discount on our DIY website builder – just click here to get started. Simply check out www.crazydomains.com.au/domain-names for a complete price list. For those of you interested in reaching out to Australian consumers, don't miss out on any of these promos. 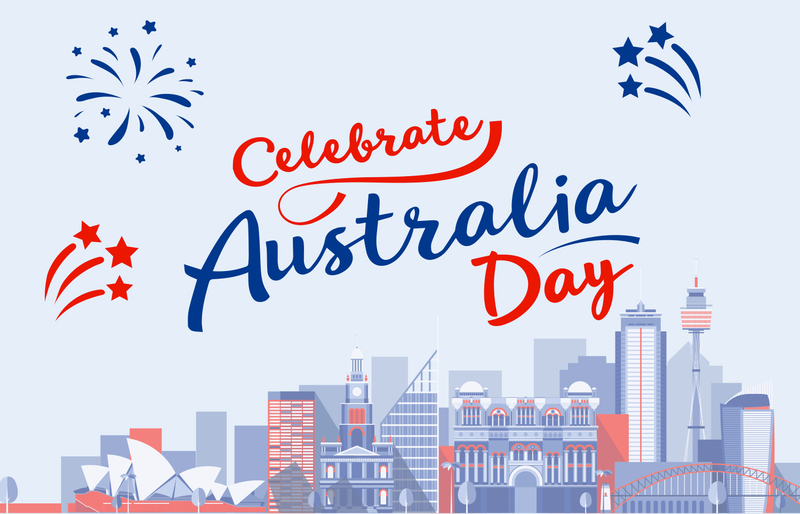 To all Australians out there, all of us here at Crazy Domains would just like to wish all Australians a happy Australia Day!